Create your own double feature by selecting two of your child's favorite stories from those available during your time frame on our current shows and birthday shows pages. 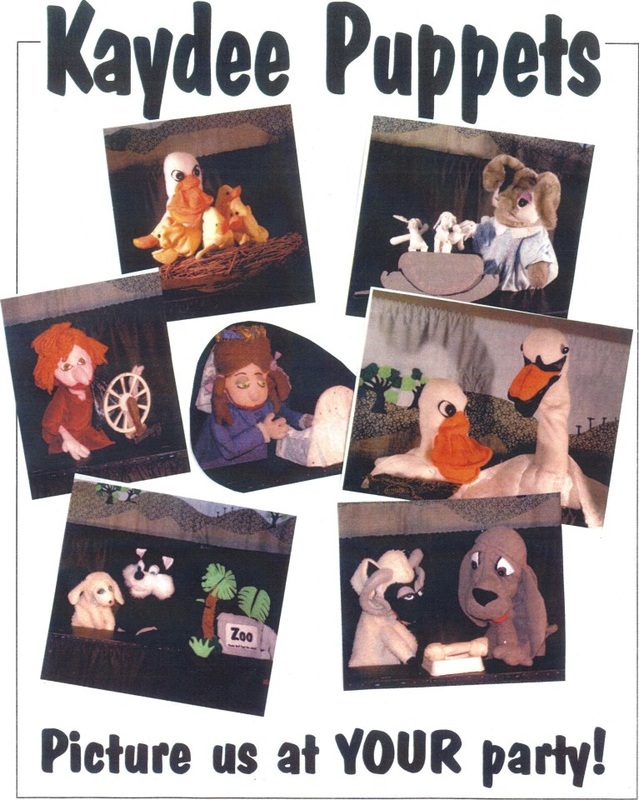 Kaydee Puppets strives for a very fun, intimate theatre experience with lots of interaction between the puppets and the audience. It is a live 30-minute production with two puppeteers. We come to your location: your home, recreation center, restaurant, or anywhere indoors. We are completely self-contained with an 8-foot stage, usually set up at one end of your living or family room with the children seated the floor. We are always happy to answer questions after the show and bring one of our "gentle" puppets out to meet the children and taste their ear, telling them what flavor ear they have... a good photo op! Total entertainment time is approximately 30-40 minutes. For pricing, please see our fees page. Contact us to reserve a date and time of your choice.